We strongly believe that the best available technology to remove general household odors is activated carbon. To learn more about activated carbon, click here. 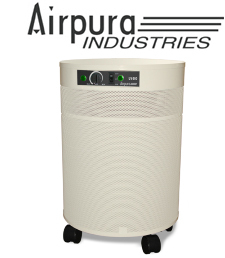 While almost all of our Austin Air and Airpura air purifiers contain activated carbon filters, certain models are better suited to odor reduction. The greatest factor in odor removal effectiveness is the volume of activated carbon present in the filter and the air processing rate of the system's fan. Since most of these systems will perform very well for general odor reduction, strong consideration should be given to models that perform best at removing secondary contaminants of concern. Of course, consideration should also be given to your budget, the size of room you wish to treat (air processing rate), the removal of other contaminants, and filter life. Our top choices are the Airpura C600 for general household odors and the Airpura T600 if odors due to tobacco smoke are also present. A wide range of other models as listed below also perform very well for general household odors. Many of these models also target specific additional contaminants that may be of concern to you. Accordingly, one of them may be a better selection for your situation than the Airpura C600 or T600. For instance, for odors and allergens associated with pets (dogs, cats & birds), the Austin Pet Machine is an excellent choice.